Top Shelf Storage is a proposed self-storage development located at 12451 W Overland Rd, Boise, ID 83709. The site is located off the Eagle Rd exit, one of the busiest intersections in all of Idaho. The nearby Silverstone and El Dorado business campuses include over 300 acres of office, retail, medical, and other commercial uses. The facility is well-positioned on Overland Road, a main arterial with over 25K VPD. 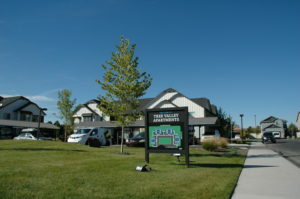 Beautiful 2 Bedroom Apt at the Tree Valley Apts AVAILABLE NOW! 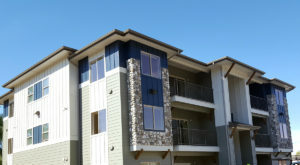 This is a gorgeous 2 bedroom, 2 bathroom apartment in Northwest Boise, near entertainment, shopping, and the West YMCA. 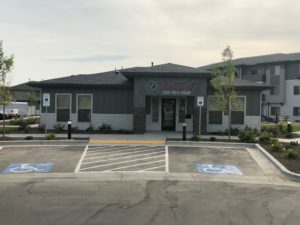 Built in 2017, it has a very modern look, including contemporary design, beautiful landscaping and spacious parking options.